Kenwoods were called to a property in Tower Hamlets to carry out a pre-purchase inspection in relation to dampness. The house had been converted into two flats both of which required attention. The ground floor flat was suffering from rising damp due to high external ground levels. 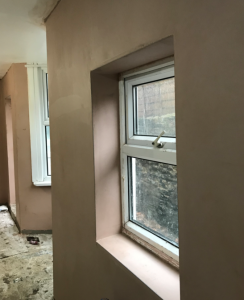 Treatment for this defect involved the injection of a new chemical damp proof course to various walls, along with a tanking system to prevent dampness where high ground levels were present. Additionally condensation was found to be affecting the first floor flat. 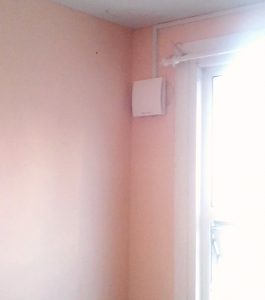 Due to the layout of the property in this instance we have installed a unit in each bedroom, coupled with extractor fans in the kitchen and bathroom. Perhaps one of the best features of Kenwood’s extractor fans is that they are not reliant, as many ‘off the shelf’ products are, on the lights being switched on to operate thus making them far more reliable.